Q. A website asked me to pay for an article. If you've ever searched for an article using Google Scholar, you have probably come across journal websites which ask you to pay for an article before downloading it. 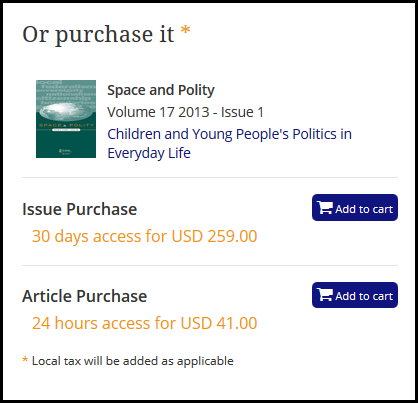 These journals and articles are behind a subscription paywall, which means that you need to personally pay for access or use a library's database subscription for access. Always check the library's databases to see whether we carry the volume and issue you need, which can be found in different library databases. If the library does not subscribe to a journal or lacks a particular volume/issue, talk to a librarian and we will work with you to find other options.